BioGenesis Health Cluster is pleased to announce World Congress On Cardiac Sciences - 2018 , "International Conference on Cardiology" is schedule on 28th and 29th November 2018 at J.N.TATA Auditorium, Indian Institute of Science, Bengaluru, Karnataka. 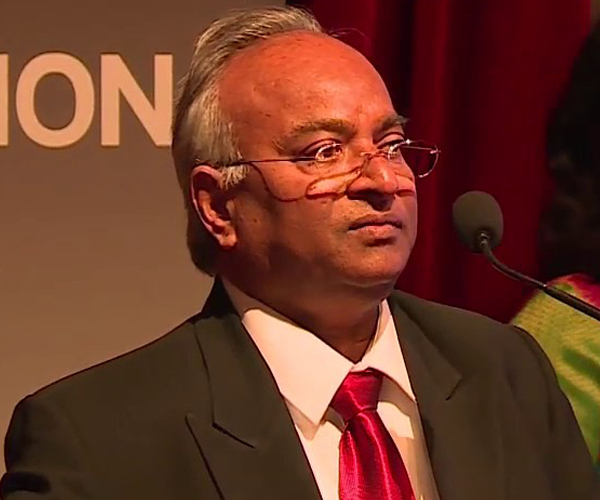 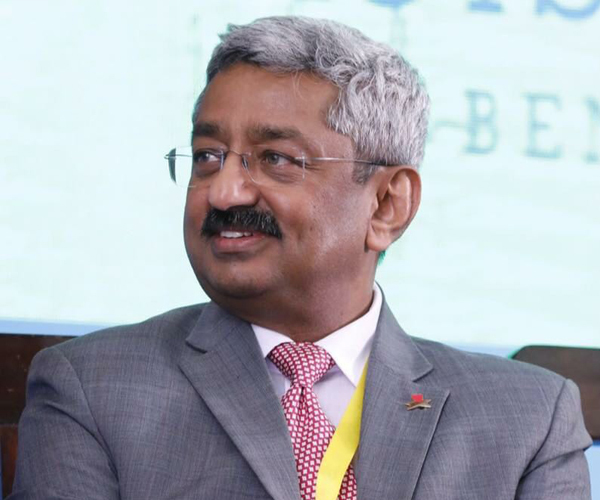 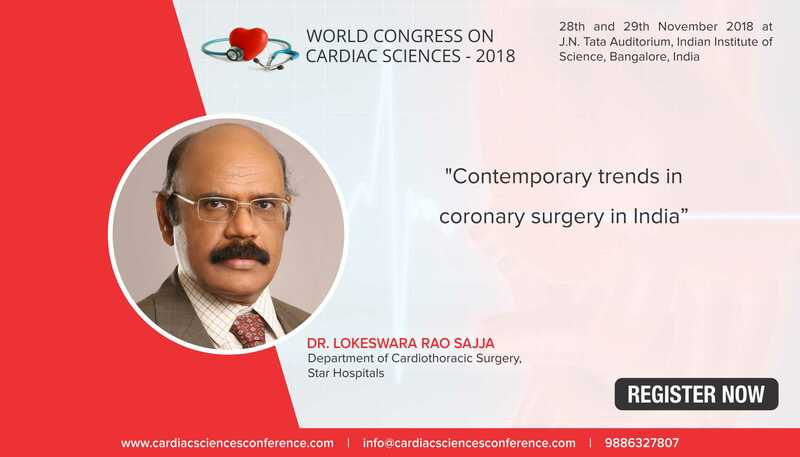 The theme of the conference is “Building and Beating to the Future of the Heart”. 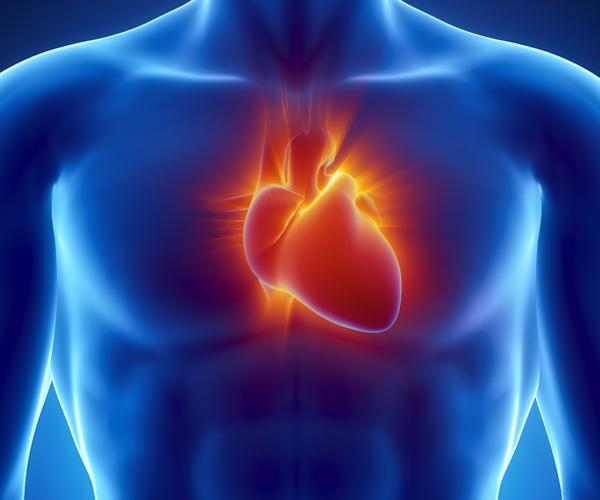 Cardiovascular disease is now the leading cause of deaths worldwide. Globally, 17.5 million people die from cardiovascular diseases annually, out of which Over 80% of CVD deaths take place in low-income and middle-income countries. 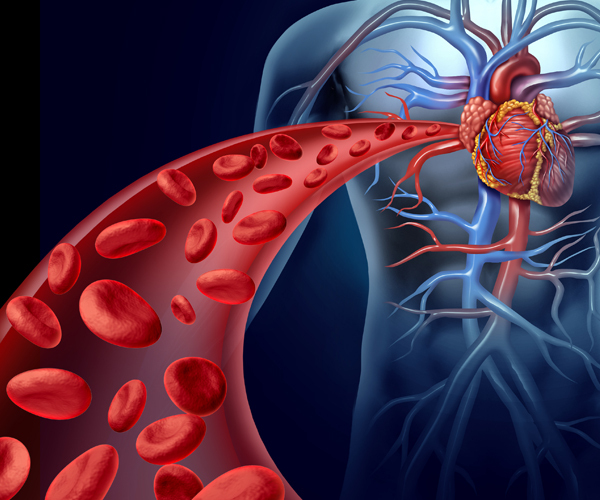 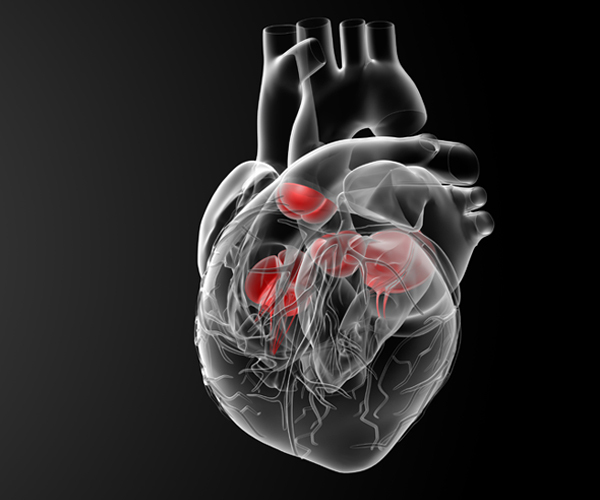 It is estimated that by 2030 almost 23 million people will die annually from cardiovascular diseases. 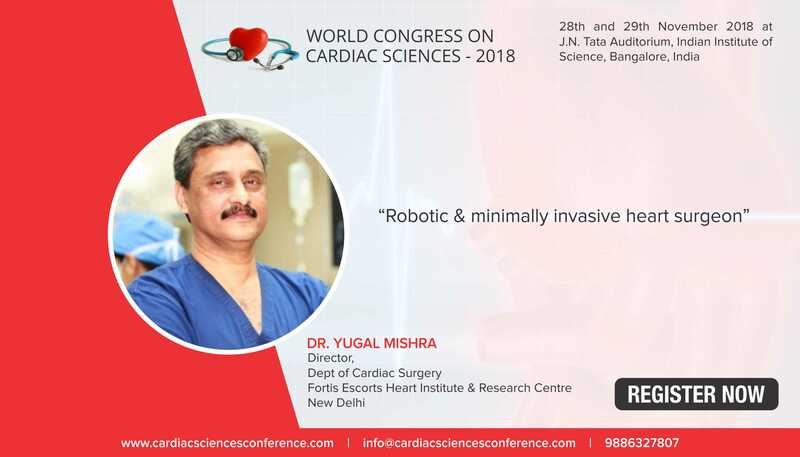 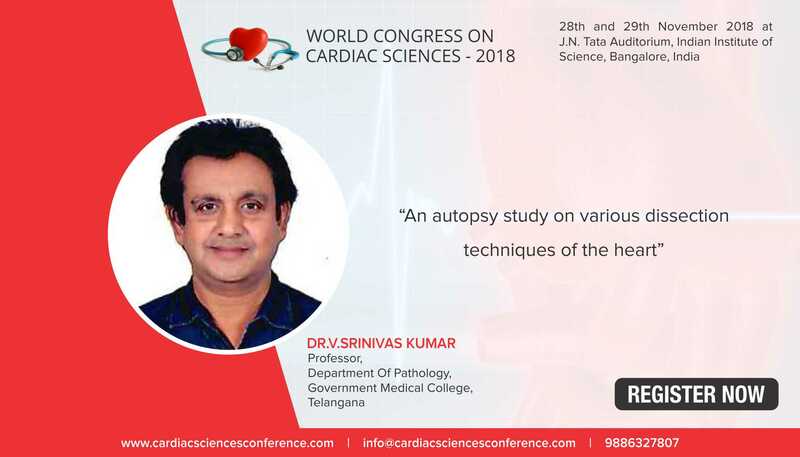 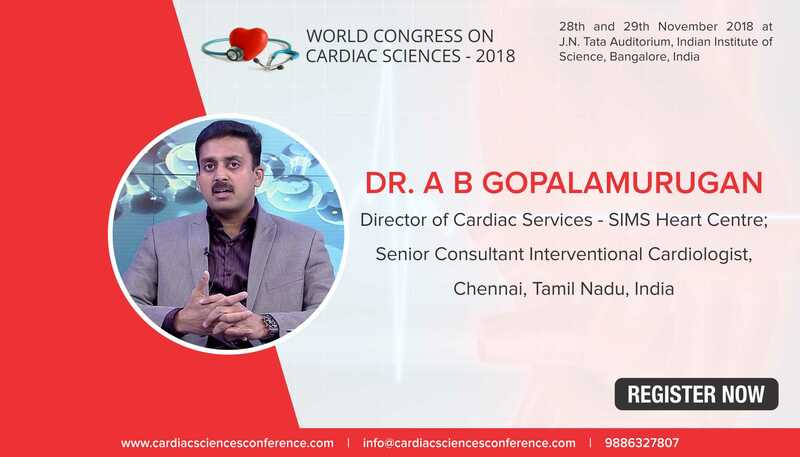 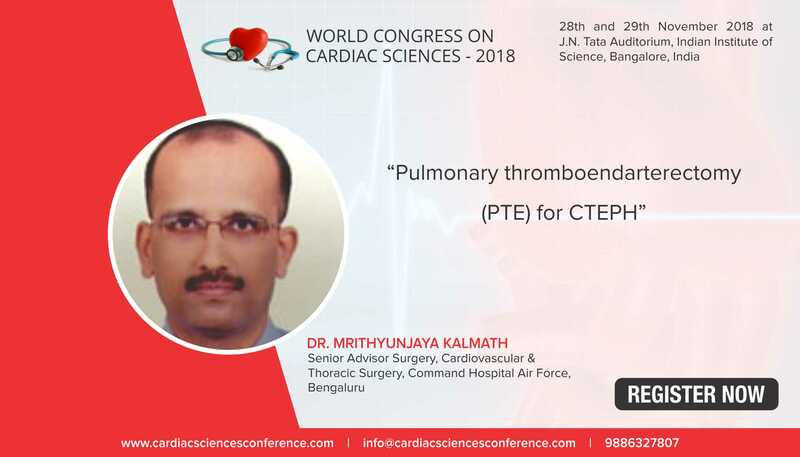 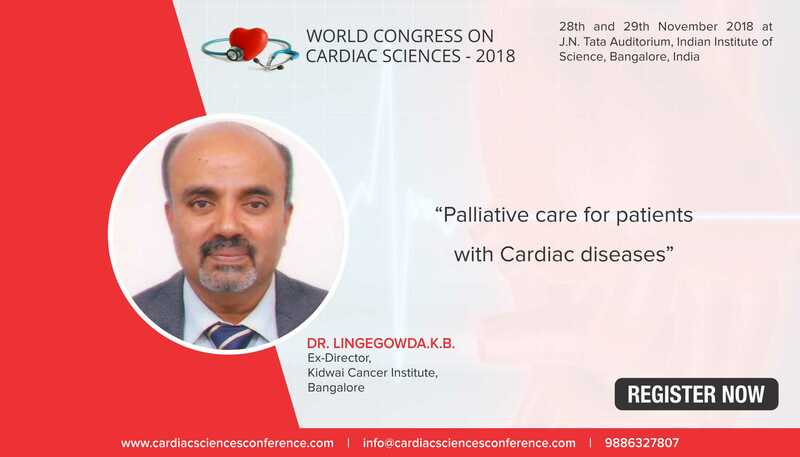 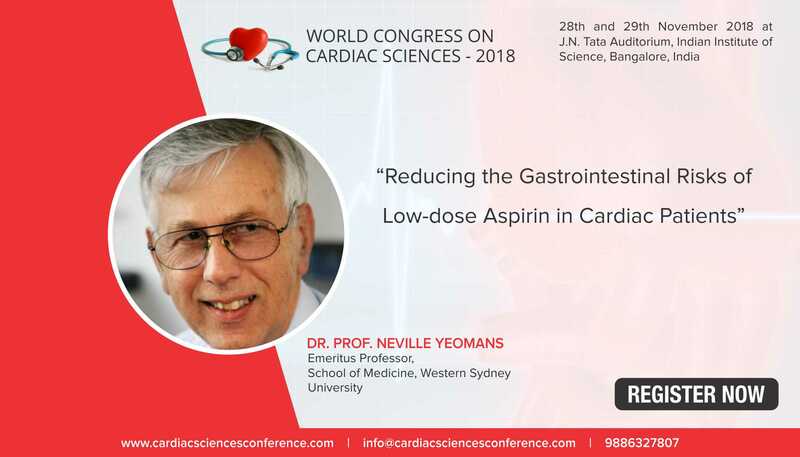 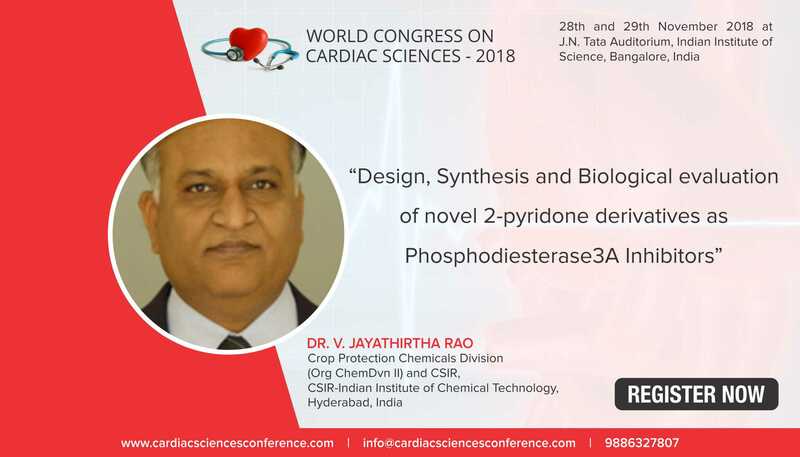 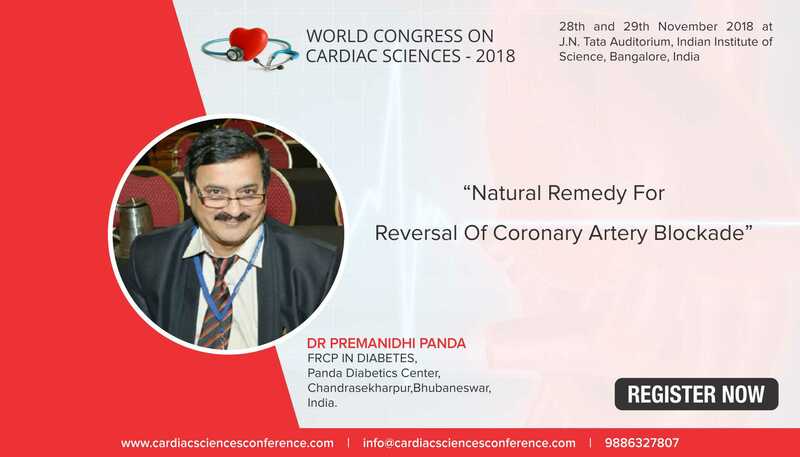 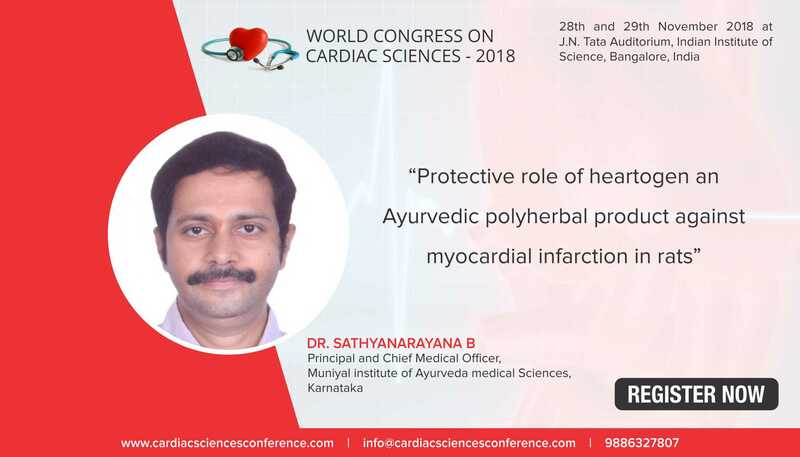 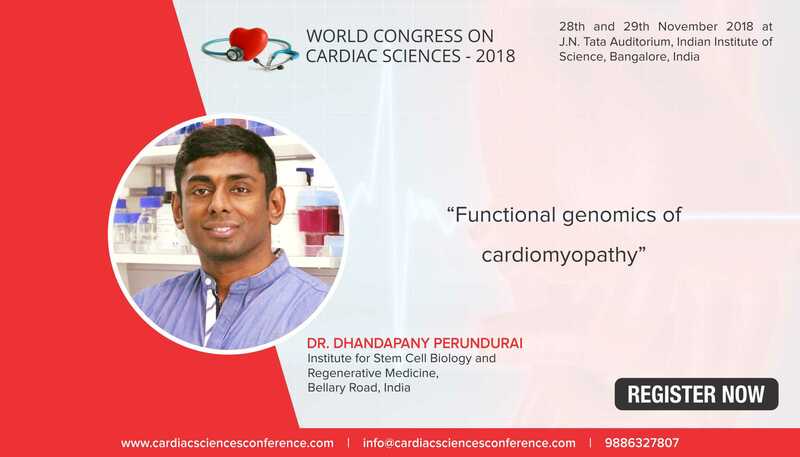 The World Congress On Cardiac Sciences - 2018 “International Conference on Cardiology” to be held at Bangalore on 28th &29th November 2018, offers to be a convergent platform for listening to and networking with the leading experts in various subspecialties of cardiac sciences like the cardiac surgeons, Cardiologists (interventional, Non-invasive and preventive), Research scientists with interest in cardiovascular sciences and life style and wellness. 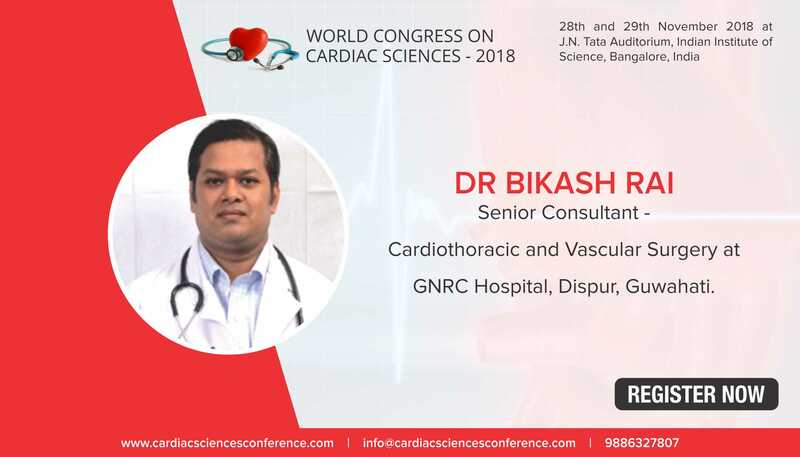 Today all these specialities live and work in silos and need to interconnect more often on common platforms and navigate the current issue on more patient friendly roads. 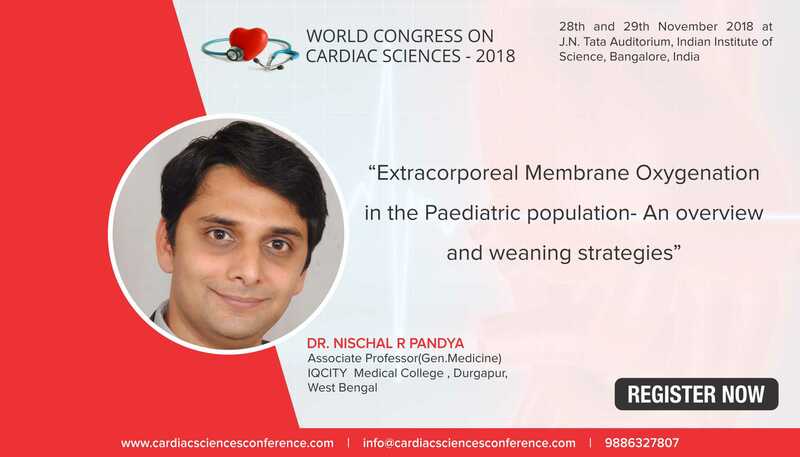 This conference will be an effort and a good beginning in that direction. 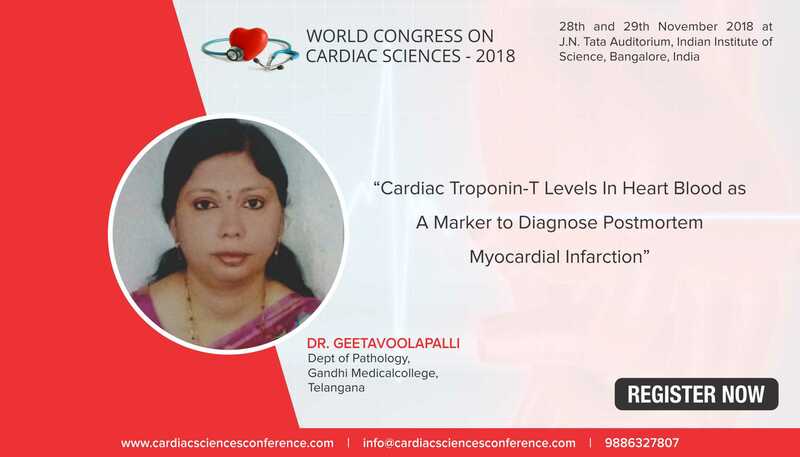 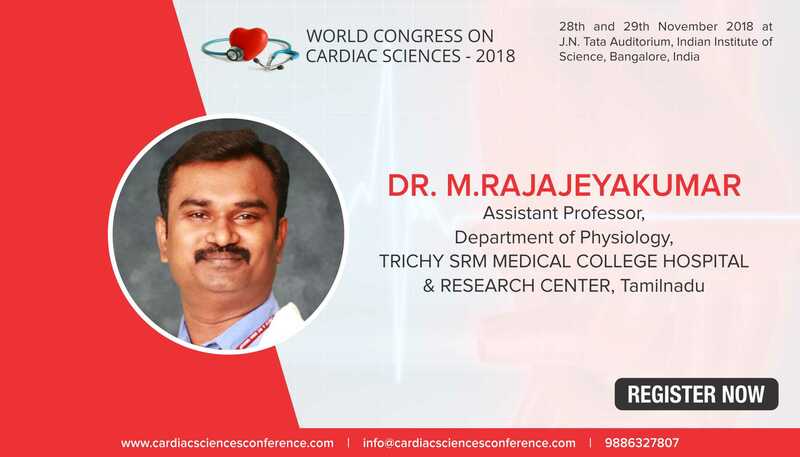 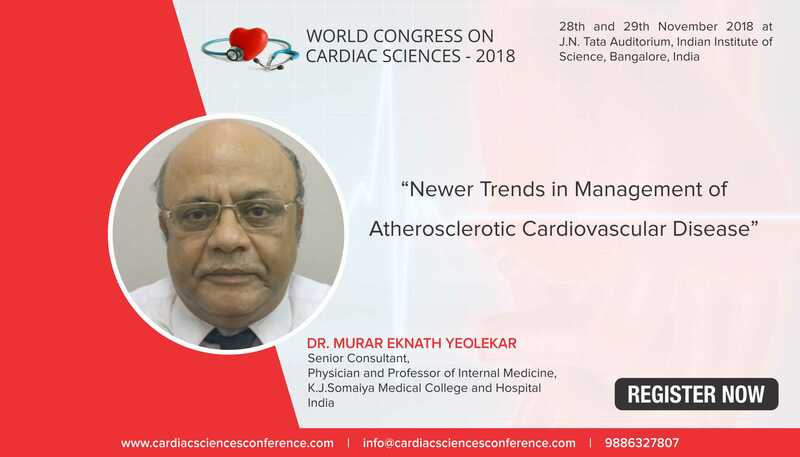 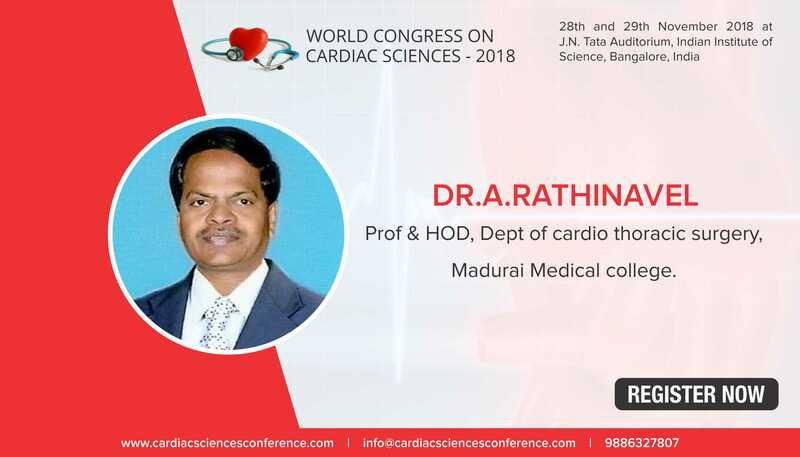 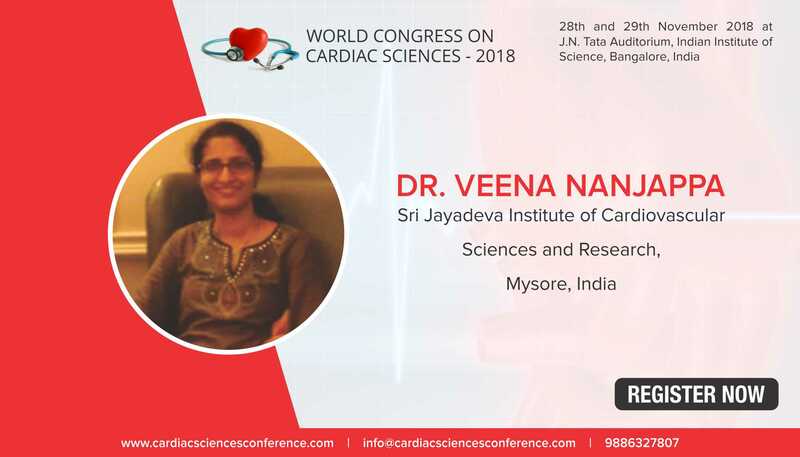 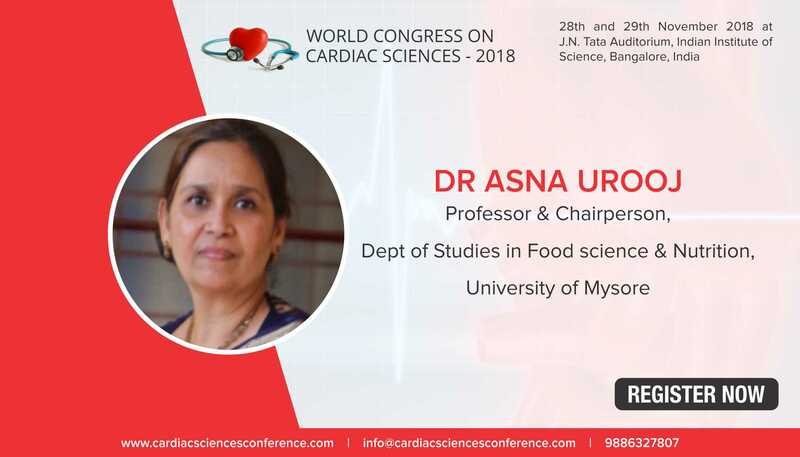 It gives me great pleasure to welcome you all to the WORLD CONGRESS ON CARDIAC SCIENCES - 2018 “International Conference on Cardiology” which will be held on 28th and 29th November 2018 at J.N Tata Auditorium, Indian Institute of Science, Bangalore India. 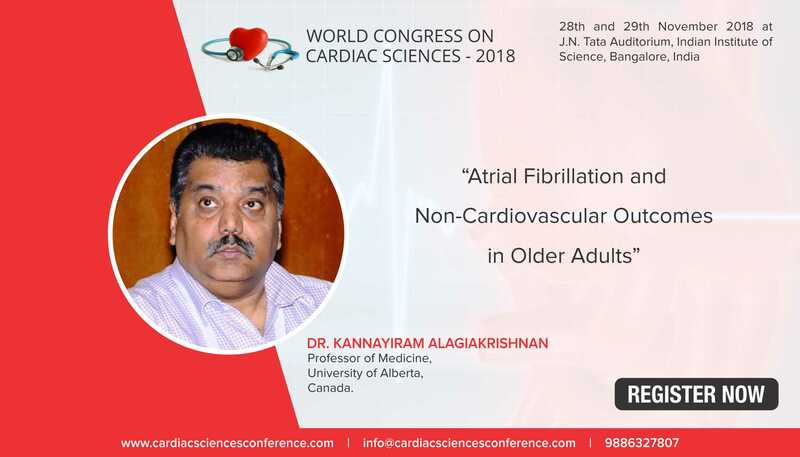 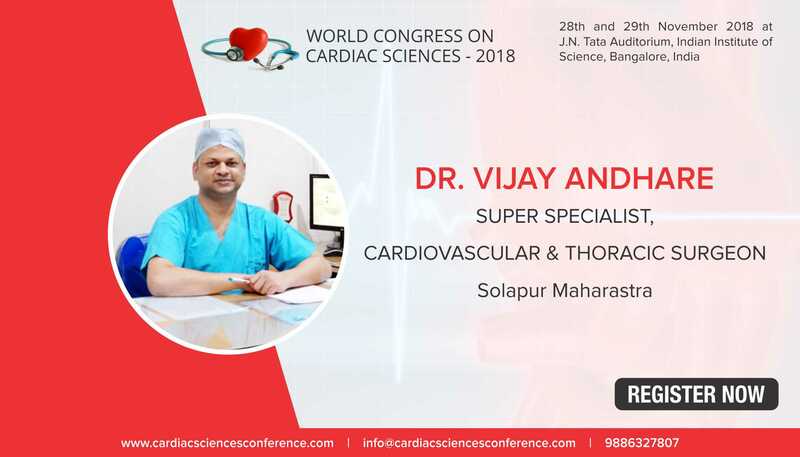 The conference will focus on the latest advancement in Hypertension, Cardiovascular Nursing, Cardio-Oncology, Clinical Cardiology, Cardiac Stroke, Cardiovascular Disease, Cardiovascular Surgeries, Paediatric Cardiology, Cardiac Research, Cardiovascular Research, Case Reports on Cardiology, Nuclear Cardiology, Cardiac Pharmacology, Cardiac electrophysiology, Diabetes, Cardio Metabolic Disease and many more. 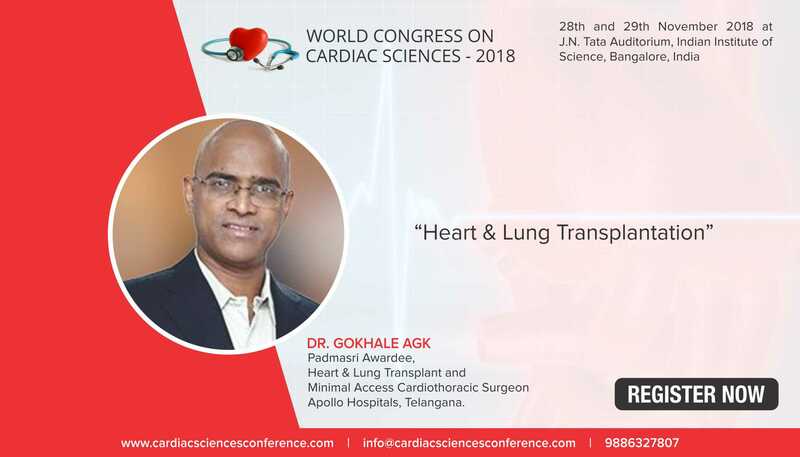 WORLD CONGRESS ON CARDIAC SCIENCES - 2018 International Conference on Cardiology “Building and Beating to the Future of the Heart” annual event features many opportunities to network with colleagues from around the world in an exciting environment. 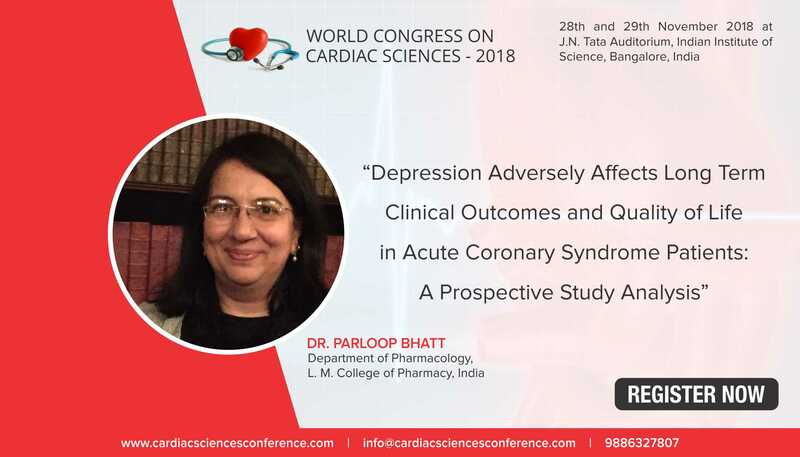 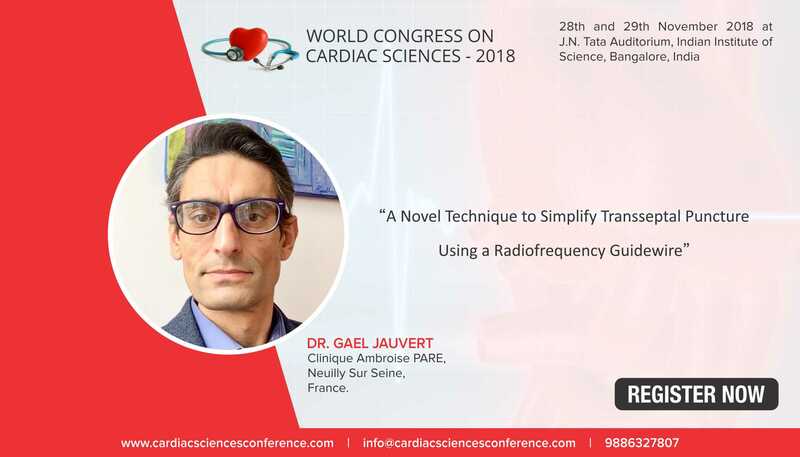 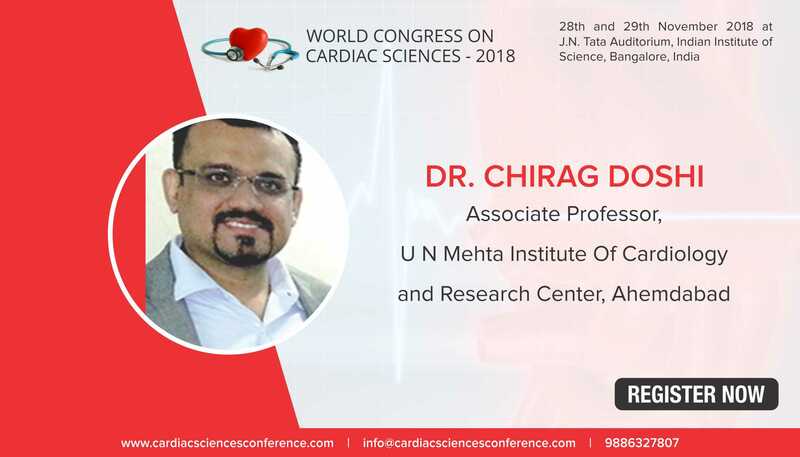 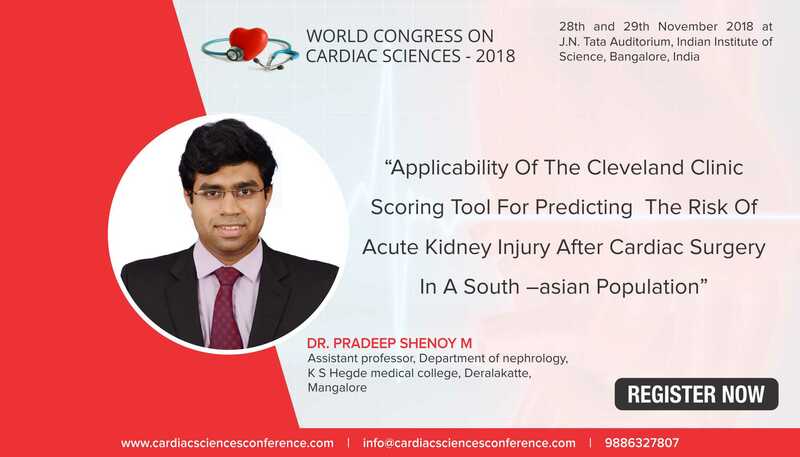 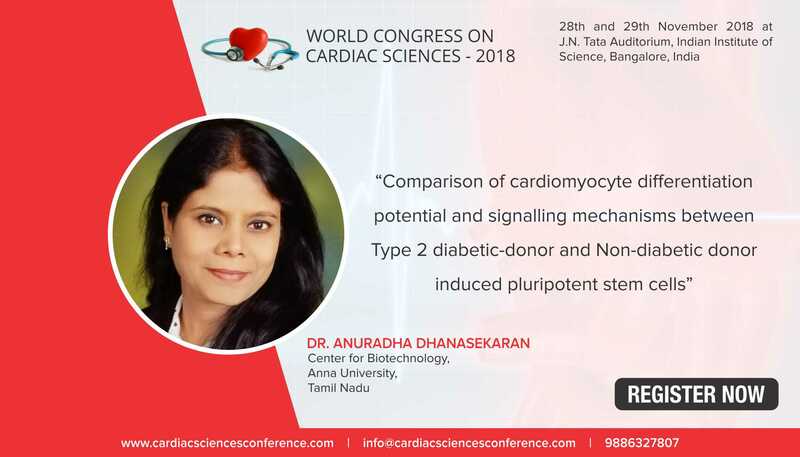 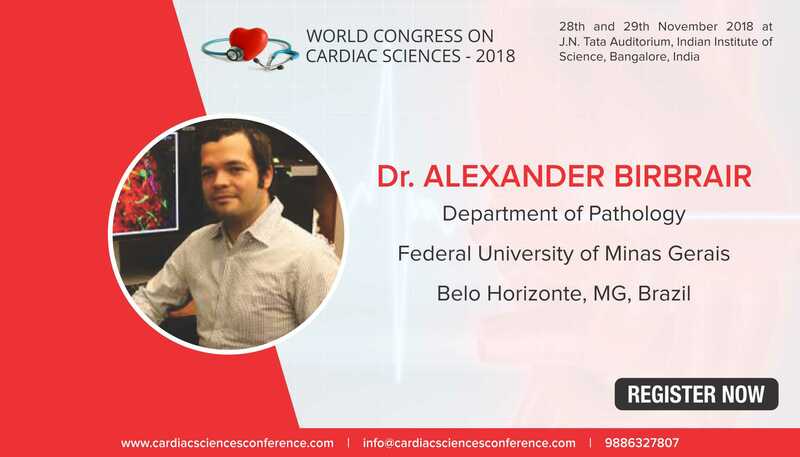 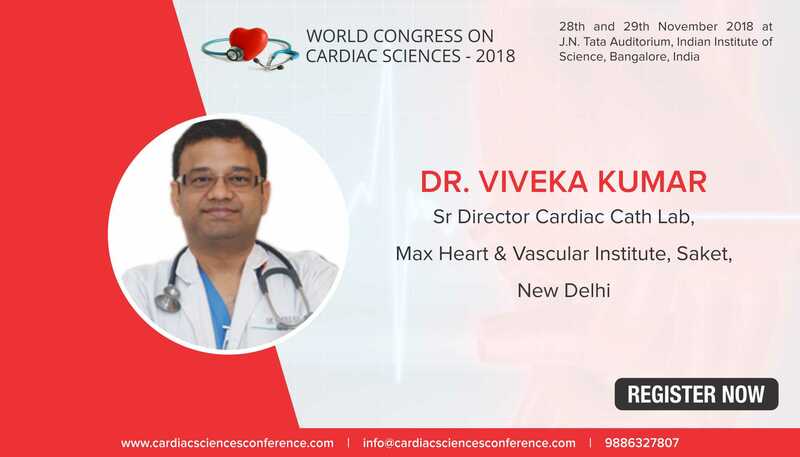 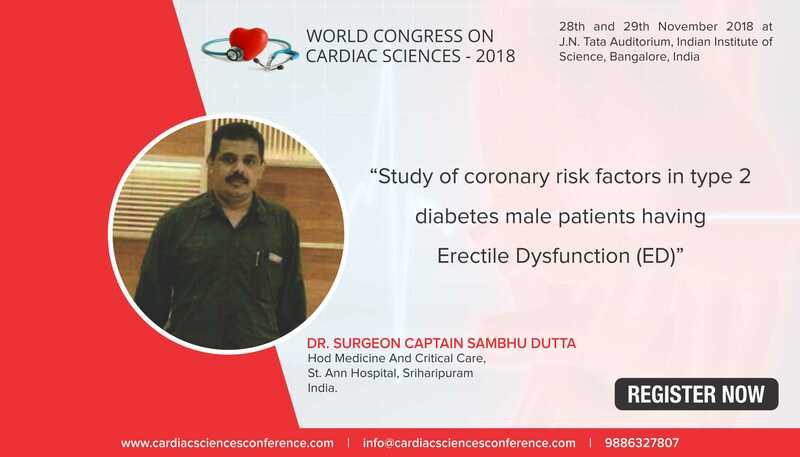 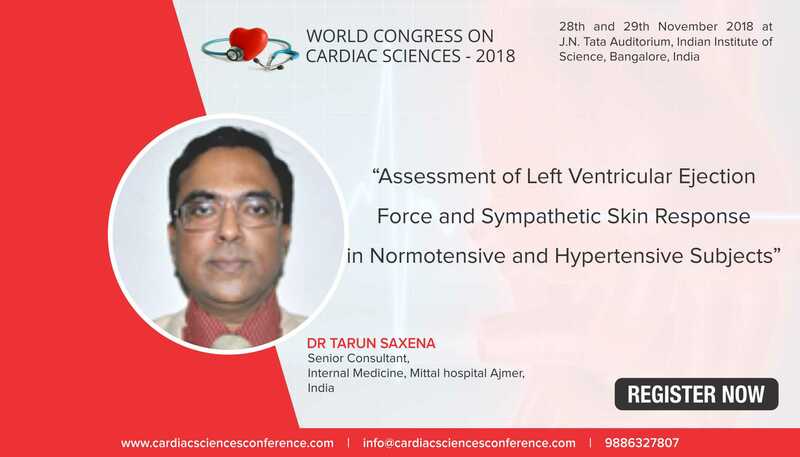 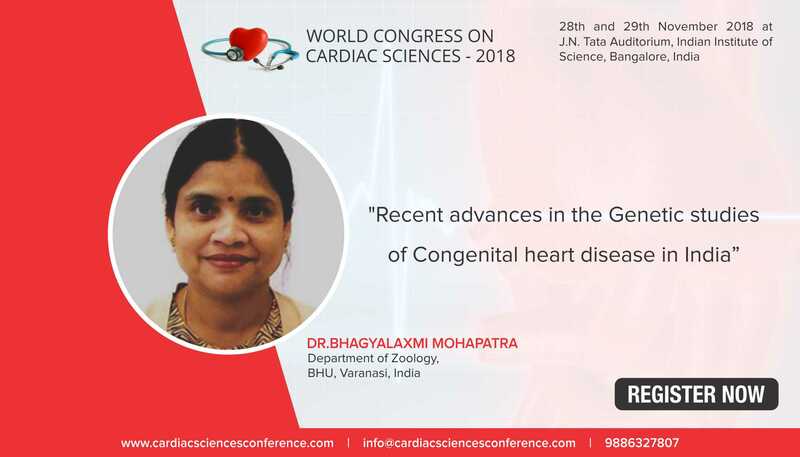 The scope and quality of the scientific exchange makes WORLD CONGRESS ON CARDIAC SCIENCES one of the most premier cardiovascular research and instructional meeting in the world. 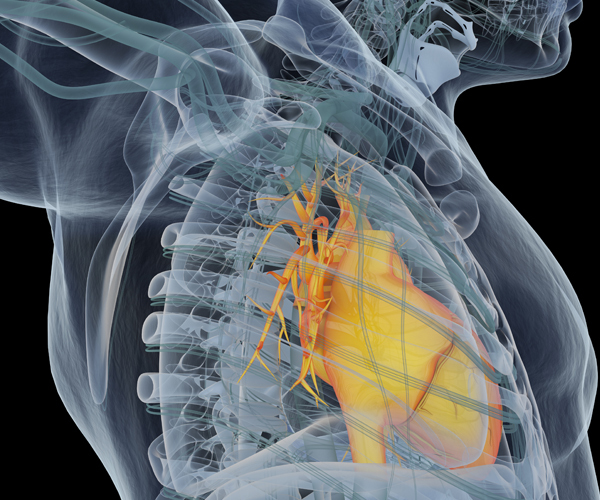 This events features two days of the best in cardiovascular clinical practice and scientific content covering all aspects of basic, clinical, population and translational content. 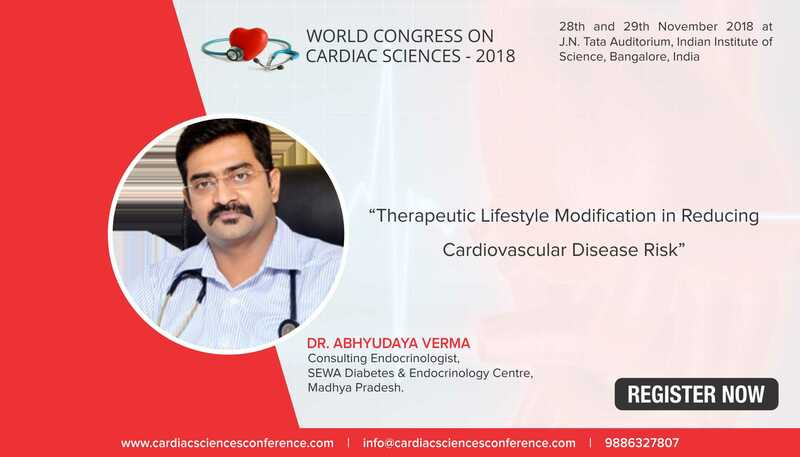 The scientific program will explore live workshops, interactive education sessions, B2B meetings, round-table discussions apart from the conventional plenary sessions, featured symposia, breakout sessions and oral presentation sessions for abstracts and challenging cases. 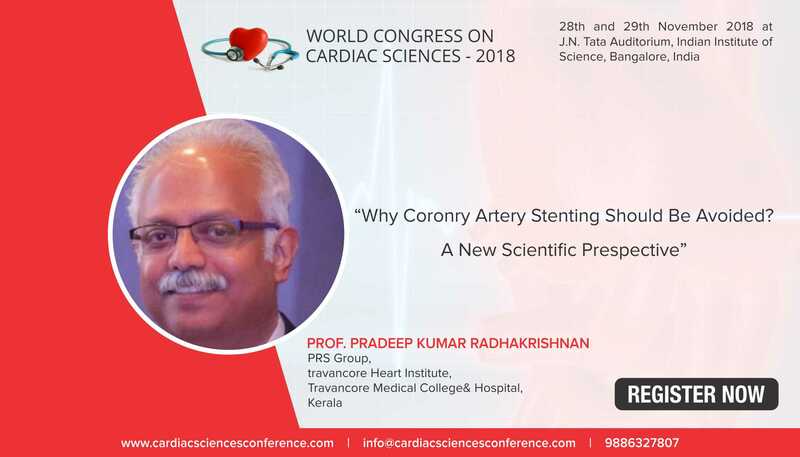 In addition, WORLD CONGRESS ON CARDIAC SCIENCES – 2018 International Conference on Cardiology “Building and Beating to the Future of the Heart” will feature live cases and interventional courses in an interactive format throughout the conference. 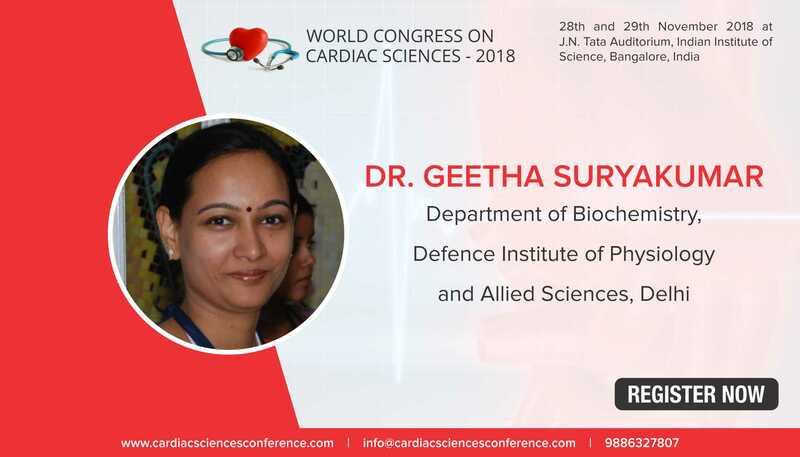 Our endeavour is to provide a stimulating and thought to provoke scientific program. 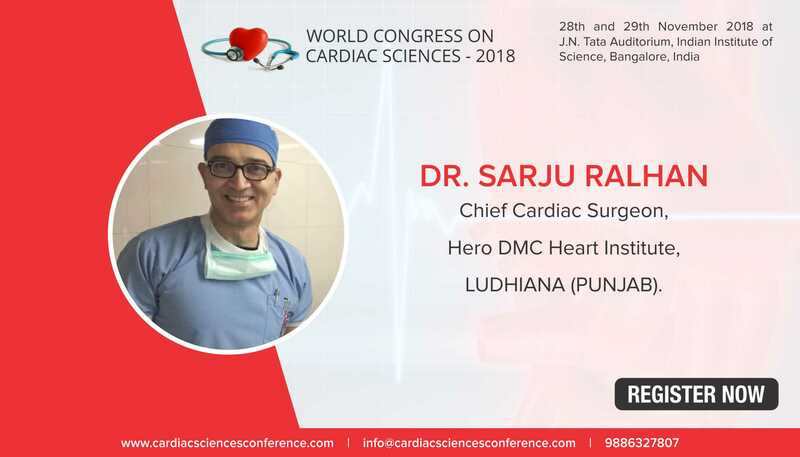 We look forward to the honour of welcoming you at J.N. 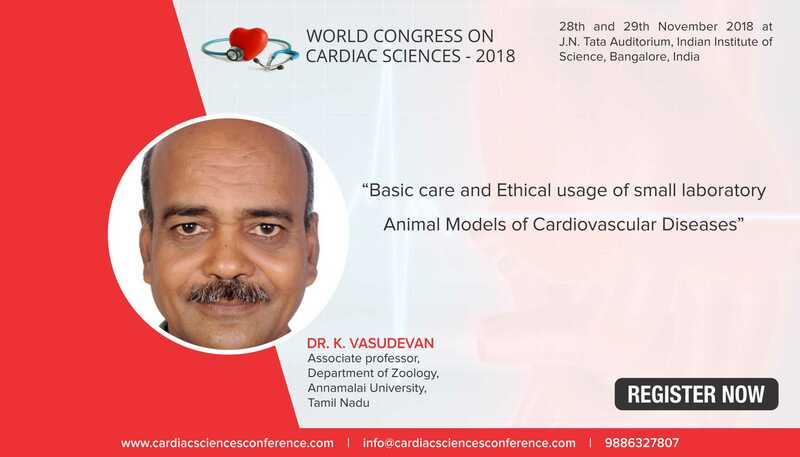 Tata Auditorium, Indian Institute of Science, Bangalore Karnataka India.